Outstanding German hybrid and very popular. Clump forming perennial with fleshy stems and leaves. Large flattened flowerheads of dusky pink ageing to coppery red. Strong growing and tolerant of poor soils. Good for late colour in the borders. 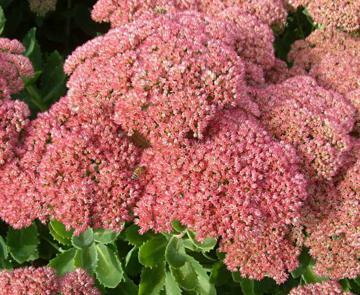 A hybrid of Sedum spectabile X Sedum telephium.